“There will always be music, but if we don’t generate enough revenue from streaming, we may not be able to continue investing in new music that will have a dramatic impact on the future music business and global superstars in particular.” That’s how Jeff Walker describes the importance of the work of the global digital business group at Sony Music. 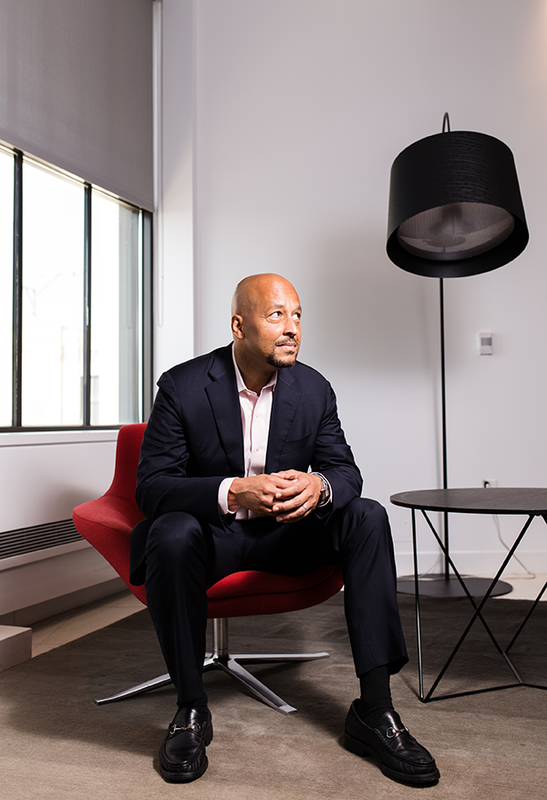 Walker is the company’s executive vice president and head of business and legal affairs for digital business, so he knows better than most what’s on the horizon for the music industry. After leading business affairs for Columbia Records and RCA Records, and negotiating deals with artists, he’s now overseeing agreements with Sony’s digital partners such as Apple, Spotify, and YouTube. And as the industry transitions from an ownership model to an access model, it’s his job to protect the company and craft deals that help Sony Music generate revenue to appropriately compensate recording artists while covering the costs of development, distribution, and marketing. Sony Music, a subsidiary of Sony Corporation of America, operates the second largest music company in the world and features catalog and an artist roster that includes Adele, Beyoncé, Bruce Springsteen, Elvis, Michael Jackson, and Justin Timberlake. While rising and legendary stars can command multi-million dollar contracts, even developing artists typically require a significant capital investment upwards of seven figures for recording, marketing, and promotion. Due to massive capital investment, Sony Music must generate enough money from new distribution models to be able to invest in its next superstar and find success in an industry that’s rapidly evolving—and that means the company’s legal team must evolve too. During the past two decades, customers have shifted from buying CDs to digital downloads to purchasing access to streams of music in the cloud. These transitions were enabled by technology development and consumer demand. In addition to deal making, Walker’s legal team oversees Sony Music’s antipiracy efforts. Those efforts have evolved recently to include legislative activism. Section 512 of the Digital Millennium Copyright Act (DMCA), known as the “Safe Harbor,” insulates Internet service providers from direct copyright infringement related to certain actions by users. Nearly twenty years since its passage in 1998 (when Internet speeds were dial-up) Sony argues the law is due for an update. It recently submitted comments to the US Copyright Office outlining these concerns. When Sony issues a take-down request for a single music file, the offending user can upload an identical link with the same track. Sony is required to send multiple notices for the same song on the same platform. Sony recordings were the subject of more than 5.7 million take-down notices in 2015. Even with those take-downs, it remains simple for Internet users to search for virtually any song and freely stream or download it over the Internet on unauthorized sites. In many ways, it’s a losing battle. Since the DMCA was passed, the music industry has shrunk by about half in revenue. In that same window, the valuation of several user-generated platforms that take advantage of the safe harbor have multiplied, in large part due to the availability of copyrighted content on the platforms. Though Sony has worked with other labels to successfully sue—and in some cases shut down—illegal music streaming and sharing services like Grooveshark and LimeWire, the actions can last more than five years, depleting internal energy, budgets, and other resources. And all of Sony’s recordings stay on the site while the issues sit in the courts. Sony’s approach to luring consumers away from illicit and user-generated platforms is enabling best-in-class, vibrant music offerings that fans will find engaging enough to pay. “We know not all consumers will be open to paying, but the biggest music consumers—the real fans—will pay for a premium subscription service if it is the best place to listen to the new album by their favorite artist. The challenge is creating differentiation between free ad-supported services and premium subscription,” Walker says. Another white hot issue du jour is stream ripping. While prerelease album leaks and peer-to-peer file sharing remain real problem areas, Walker is increasingly concerned with apps that allow users to record and save music from YouTube and elsewhere. One Google search or glance through any app store will return several websites and applications designed to help users save protected content. And while developers rely on fair use and case law to assert they’re not technically infringing, Walker believes the developers know most users are deploying the tools to copy protected intellectual property. Most, if not all, of Sony’s digital partners prohibit this activity in their terms of service, but some do more than others to protect Sony’s content and combat the culprit apps. Sony is fighting back in two ways. First, Walker is making encryption a key deal point in bilateral negotiations with digital partners, asking each one to implement various forms of secure streaming. Second, his colleagues at Sony are working tirelessly to enable affordable, legitimate, and superior music services that entice users out of peer-to-peer file-sharing sites. The US recording music industry is still the largest music market worldwide. A traveler to any remote region of the globe is likely to hear American music. The success comes in part from the long-term investment and marketing and promotion efforts of companies liked Sony that have helped the business flourish and grow. “If we can no longer invest in the next superstar, there will still be music, but the character and volume of it will be diminished,” Walker says. He works to make sure that never happens.